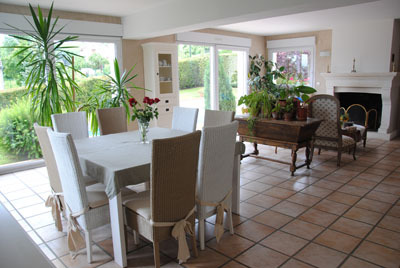 Home » B&B » Chambre d'hôtes "La Croisette"
Viviane and Joel welcome you in their charming house "La Croisette" located in a quiet area on the western slopes of Epernay (near the city center). Two bedrooms each with a bathroom are at your disposal. A hearty breakfast will be served with homemade products. 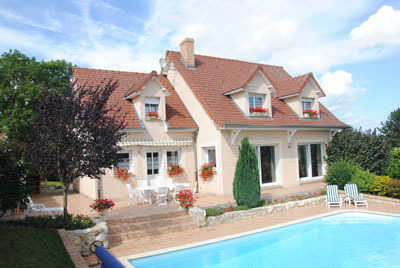 You can enjoy the swimming pool and a south-facing terrace (in summer) and a billiard room.